The New Hampshire Art Association is a member of the Chamber Collaborative of Greater Portsmouth. We believe that an important part of our mission is giving back to our communities. Below are some of the organizations we have partnered with recently. One Sky is a private, non-profit agency serving NH’s Northern Rockingham County. Since 1983, One Sky has assisted people with developmental disabilities, acquired brain disorders, and others in need of support to live as valued and participating members of their communities. In January 2018, NHAA partnered with One Sky, and invited some of their artists to exhibit and sell their work in our gallery in their own exhibit entitled 'Looking Beyond Disability'. Their artwork ranged from handcrafted jewelry, mixed media tiles all the way to traditional photography. All proceeds for sales went directly to the artists. For 200 years, Gather has been serving Seacoast residents facing hunger. This organization is committed to ending local hunger through collaboration and leadership. Throughout January 2018, NHAA combined forces with Gather holding a food drive as well as asking for donations for the food pantry. Participating artists and visitors to the gallery were asked to bring nonperishable food items or monetary donations. This food drive worked in conjunction with an NHAA member exhibit called ‘Feed the Soul’. 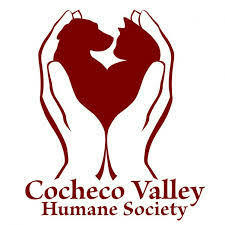 NHAA partnered with fellow non-profit, the Cocheco Valley Human Society in April 2018 to raise awareness of the importance of adopting animals while featuring animal-themed artwork from our members. To celebrate Adopt a Pet Month the exhibit focused on depicting animals both wild and free. Artist members of NHAA were able to display their artwork while gallery staff encouraged visiting patrons to donate to the various raffle opportunities in benefit of CVHS. A crown fit for a queen! Each year, Portsmouth hosts thousands of families during their downtown celebration of Children's Day. NHAA saw a record turnout in May 2018 for "Come and Collage! ", where kids were given the chance to create unique works of art. This fun opportunity for children to participate in a hands-on creative activity really embodies the spirit of the NHAA - art enriches a community. 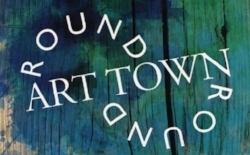 NHAA participates in Portsmouth’s Art ‘Round Town program by hosting an open reception from 5PM-8PM on the first Friday of every month. Through this downtown gallery walk, the public is invited to visit a variety of downtown galleries in celebration of the visual arts. With NHAA featuring new exhibits each month, visitors are always treated to a unique experience and have the opportunity to meet and learn about the artists showcasing their work.